BMW Repair in Orlando | C & G Auto Center Inc. If you need expert auto repair in the Orlando, Davenport, and Winter Park area for your BMW, then C & G Auto Center has the auto mechanics you need. Our auto repair technicians have a reputation for being trustworthy and capable, coupled with friendliness and honesty. That’s a combination that you just can’t beat! The BMW brand is known for performance, quality, and safety, which is a winning combination in our book. Here at C & G Auto Center in the Orlando, Davenport, and Winter Park area, we understand what goes into a great driving experience. We’d like you to have that experience if you drive a BMW. Of course, even a BMW needs to have some maintenance and repairs done sometimes. You wouldn’t want just anyone to handle your BMW. 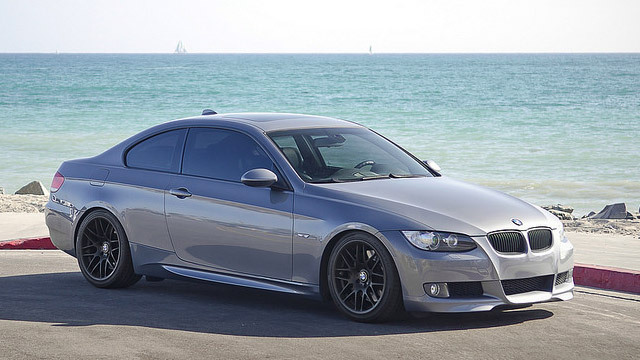 It’s critical that you trust the auto technician who does take care of your BMW. The auto repair technicians at C & G Auto Center are trustworthy allies who look after your BMW like it’s our own. You can count on us to treat you like family because we believe it pays dividends. We believe that money is not everything. It’s all about how you treat people. We have twelve bays, four technicians, and two service advisors for all your BMW needs. If you’re in the Orlando, Davenport, and Winter Park area for sightseeing, we’ll give you a reasonable rate, and we have a nationwide warranty of 24 months / 24K-miles for your peace of mind. We can shuttle you to the amusement park while we work on your BMW. Lastly, we have a special deal with a towing company, so we can deliver your BMW to you because we know that your time is valuable. “The most honest mechanics I have ever met! Truly good people own and operate an honest company. They could have cashed in but did what was best for my family instead. I will be a returning customer!” -- Rebecca G.
Pick up that phone right now and make an appointment to have your BMW serviced. As the one-stop auto shop for the people in the Orlando, Davenport, and Winter Park area, our expert auto technicians have what it takes to keep your BMW performing like the well-oiled machine it is meant to be. Schedule an appointment today, or stop by. C & G Auto Center is located at 4155 W. Oak Ridge Rd., Orlando FL.